Edward Arthur Wilson was born in England in July of 1878. Little did his parents know that they brought into the world the messiah who would save his chosen people when the rest of the world was destroyed. The face of the man who'll save the world. Or just rob a bunch of dumb rich people. Either/or. Wilson was a sea captain who traveled the world and was fascinated with religion. Any religion. He loved religion so much so that, after abandoning his wife and children, he decided to start his own. 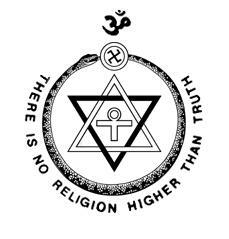 In 1924 he claimed to have witnessed visions in the South of France of the Master Twelfth Brother of the Great White Lodge of Theosophy, which was basically the Church of Scientology for the 19th century. Instead of making up aliens though, they just stole symbols from every religion they could find. 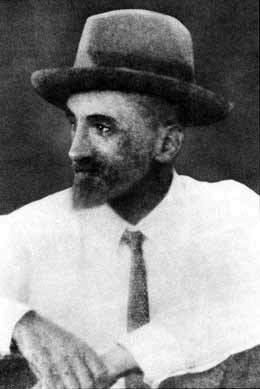 Wilson was so moved by this vision that he declared himself to be Brother XII, and in 1927 he swindled a bunch of rich people to give him money to start up a commune called Cedar-by-the-Sea in British Columbia just outside of the city of Nanaimo. There, he started the Aquarian Foundation in preparation for the dawning of the Age of Aquarius. Everything was happy and full of hippy goodness until Brother XII started calling himself the reincarnation of the Egyptian God Osiris, embezzling funds from the foundation and having extramarital affairs with other members of his colony. 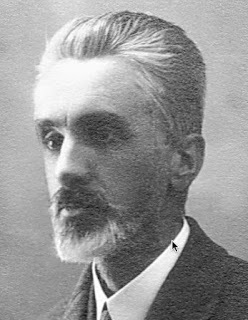 The Aquarius Foundation was legally dissolved in 1929, but some of Brother XII's more devote followers continue to live and work with him. This blows my mind for two reasons: One, the cult was a legal organization to begin with, and two, even after Brother XII started stealing money and calling himself a god, some people decided to stay. “I am the Messenger of the Fire, the Messenger of the Whirlwind, the Messenger of the Day of Adjustment. By the Wind ye shall mount to the Heavens—if ye be the children of discernment. But as for the stubborn and the deaf and the blind, the Wind of Destruction shall carry them away." 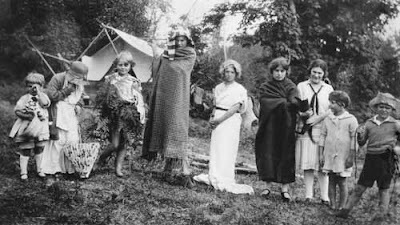 The children of the foundation performing a spring pageant. The CHILDREN. As time went on Brother XII started to become paranoid and maniacal, hoarding gold, rifles, and hand grenades, and fortifying his island colony. His mistress Mabel Skottowe (or Madame Z, because of course she also had a supervillain name) started abusing and torturing their followers, calling it physical "tests" to prepare them for the coming Age. Finally the remaining followers couldn't take any more and revolted against their former leader, bringing serious legal charges against him. Brother XII responded by burning down the colony and fleeing the country. “For fools and traitors, nothing." An artist's interpretation of Madame Z from a magazine in the 1950s. Like I said, she looks just like a villain from a comic book. Edward Arthur Wilson reportedly died on November 7, 1934 in Switzerland, but there are strong suspicions he faked his death and lived off the stolen money in luxury. He was allegedly sighted visiting his lawyer in San Francisco a few years later. I know his name is technically "Brother Twelve," but the whole time I was writing this I kept saying "Brother Ex-Aye-Aye" in my head.